To make your holiday shopping experience a little easier, our handpicked selection highlights the best cameras and accessories of the season. For great deals all year round, check out our DealFinder page, where we do your bargain-hunting homework for you. 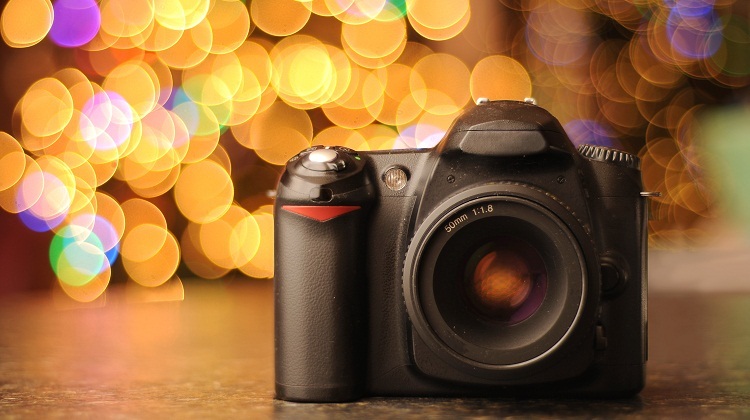 For high-quality images, the Nikon D5200 is a great general-purpose camera. The 24.1-megapixel digital SLR camera has a compact, lightweight body available in three colors: standard black, metallic red and bronze. Useful features include full HD video, a built-in stereo microphone for audio and a pivoting LCD screen and Live View function for shooting photos and movies over your head. 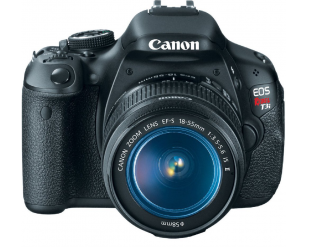 If you’re seeking a reliable DSLR camera with a midrange price tag, Canon’s EOS Rebel T3i offers fast performance and quality shots. Equipped with a 12.2-megapixel CMOS sensor and DIGIC 4 image processor, the camera takes still photos and shoots video. Among the camera’s improvements over its predecessor, the T2i, you’ll find a handy, 2.7-inch flip-out LCD display that can be used as a viewfinder. A perfect gift for the adventurous photographer, GoPro lets you take stunning videos and stills while surfing, skating or diving. 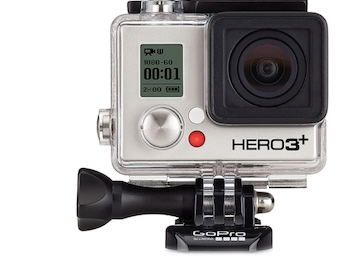 The black edition of the Hero3+ delivers video resolution up to 4K and can take 12-megapixel stills at up to 30 frames per second. Like other models, the camcorder features built-in Wi-Fi and is waterproof up to 131 feet. Special features include a “SuperView” mode to increase the field of vision and an automatic low-light mode for night and evening shooting. You want high-quality images, but sometimes you don’t have the time or space for a DSLR. 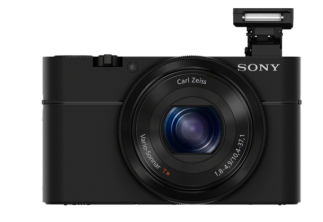 That’s where the Sony Cyber-Shot DSC-RX100 comes in. Delivering 20.2-megapixel images, the Cyber-Shot is a point-and-shoot camera with the performance and flexibility of an SLR. Its small size allows for easy portability, while photographers used to an SLR will appreciate the array of automatic, semi-automatic and manual settings; the ISO range of 125 to 6400; and the option of shooting in both JPG and RAW. With the rise of the smartphone, many people rely on mobile devices – not the classic camera – for everyday photography. But what about when your phone camera isn’t quite enough? 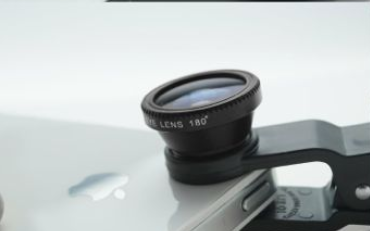 This lens kit from Camkix offers three lenses to take your smartphone photography to the next level. You’ll get fish-eye, macro and wide-angle lenses, along with a universal lens clip compatible with a broad range of mobile devices. Designed for durability and portability, the lens kit features high-quality aluminum construction and comes with a microfiber carrying pouch. Written by Melinda Szell with products and prices compiled by Fan Yang. Looking for more great deals on cameras? Check out the camera selection available at our DealFinder tool. You’ll also find great prices on products from Sony, Canon, Nikon and more. Get the latest money-saving deals from NerdWallet!